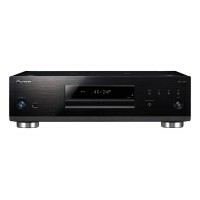 UD5007 Universal Blu-ray HD Player What would you say to having the legendary Ma.. Premium ES video and audio optimized for integration. UBP-X1000ES 4K Ultra HD Blu-ray D..
Cambridge Audio Azur 752BD Blu-Ray Universal Upsampling Blu-ray, DVD & CD player ..
Toshiba SD9500 Audiophile DVD Player To Προιόν είναι σφραγισμένο. ..